As much of Germany’s nearly 30,000 strong fleet of wind turbines approach 20 or more years in age, the list of catastrophic collapses is growing more rapidly. The turbines are now being viewed by technical experts as “ticking time bombs”. Vernunftkraft keeps a list of failures. The Greens, of course, are apoplectic (not). Photo: this particular turbine crashed in Antarctica. If you own a photo of a failing German one, please let me know. until we have wiped out the last one of them from the face of the land that they have usurped. Does anybody else recall the black & white images of the “Cargo Cult” PNG Highlanders? My mind has a picture of a bush built “shack” & a man with coconut shell mock “earphones” & a “stick” microphone calling down/ praying for manna from heaven in a re-enactment of the WW2 airdrops. At some time in the future, social historians will view the whole AGW Scam as a global “Cargo Cult” reprise & it will fill textbooks on mass psychology & marketing until human society collapses. I’ve seen in my travels a mockup of an aeroplane that a village set up to entice the planes back from the ww2 era. I went looking for it but couldn’t find it. But I did find this, which is quite interesting in its own right. This is a first hand account of village life, the good life according to the greens. Don’t apologise to SJWs, they’re not worth the effort—all noise and arrogantly arrant stupidity. Not so much PNG Highlanders as Melanesian and Micronesian Islanders. The amount of war materiel poured into the Pacific Islands such as Guam (hundreds of kms north of Melanesia) and into the southern Solomon Islands esp. Guadalcanal, by the Americans by both air lift and ship, was staggering, in terms of the sheer quantities to peoples who had no concept or idea of mass production. The Japanese materiel from Truk (Chuuk, Micronesia, north of PNG and east of the Philipines) shipped into Raboul mostly by ship) on New England island to the east of PNG (north west of Guadalcanal) would have had the same effect. Then there was the island hopping campaign and the air-drops to keep troops supplied. The forward air strips and air resupply would have added to the effect, despite heads having to be kept down. The islanders had no concept of industrial factory-based mass production so the sheer quantities and variety would have been astonishing to them. Product of the gods. Cheers, it was just an image from ancient memory. However it matches the “hopeful ignorance” which is the crafted cocoon/corral our Lords & Masters/ Big Brother have/has benevolently built for us. Awareness is the first step to understanding – We have a lot to be thankful for in Jo’s indefatigable efforts. I recently received a copy of Rosa Koire’s “Behind the Green Mask”. Where, did you say? It sounds like South Australia (SA). Do the Germans manage their nuclear plants with the same diligence? Why do enthusiasts of nuclear power in SA think that government in that benighted state think it could—let alone would—manage any part of the nuclear fuel cycle with competence and diligence rather than its typical negligence? Ah well, we have lots of wind turbines for the young, in their deepening poverty, to watch die and collapse. What mantras will they intone—out of tune, naturally, for South Australians can no longer sing. Like the education system, that ended several decades ago. Melanesia and Micronesia. They’re groups of volcanic islands around the equator on the western side of the Pacific and to the north east, east and south east of Papua New Guinea. Papua New Guinea is that big island just below the equator that lies to the South East of China. That’s thousands of miles west of America and just a bit south. Any good Atlas will show them. I think the Reader’s Digest one does, too. But first, you have to find the Pacific Ocean. It’s usually on the mostly blue pages. It sounds like South Australia (SA). Nope. You’re way out. South Australia is several thousand kilometres too far to the South. That big lump south of PNG (Papua New Guinea) is Australia and South Australia is at the bottom of that lump in the middle. At least, that’s where I last saw it. I don’t know how like SA it is, not residing there; I visited SA once for 24 hrs back in 1991. The beer wasn’t flat—it had plenty of CO2 in it—and was properly chilled, and the natives seemed friendly enough, but I didn’t stay. I have no idea. Why don’t you ask them? I note that you seem to be thinking, with “nuclear fuel cycle” about old fashioned, ancient and dangerous nuclear equipment, namely uranium-based high pressure water-cooled/moderated breeder reactors. There is much more modern equipment coming available, which is much safer. But I see your point: maybe SA wouldn’t be able to manage it. Like the education system, that ended several decades ago. Is that the voice of experience? Like, have you experienced the SA education system at first hand? There is much more modern equipment coming available, which is much safer. I wonder. I’ve looked at molten salt (or thorium) technology but found little sign the it is available commercially. Perhaps in time. We can but hope so. Otherwise it appears that only the “old fashioned, ancient and dangerous nuclear equipment” is available. I also remain to be convinced that the public here would accept any newer technology anyway; just hearing the word “nuclear” seems to trigger otherwise-ineffaceable images. On the system of education in South Australia, yes, I have recent experience if somewhat indirect. My wife is a teacher, extremely gifted, and whilst not tired of teaching is increasingly weary of all that now surrounds it. I observed yesterday the exam papers she was marking—with but one exception, no cursive handwriting (I wondered where he learned it; some of the Africans have superb educational backgrounds). How can students be expected to write meaningful exam answers with only the slowest means of writing available? Language has, and government is a direct actor in this, contracted greatly over recent decades, reduced vocabulary, and increasingly inept grammar—this whether spoken or written makes no difference. I listened to a school debate a year or two ago and vowed never again. it was nothing out of the ordinary apparently. Yet language seemed not an issue with the Year 11 and (subsequently) Year 12 debaters whom I coached towards the end of the 1990s. Just by the way, as it were, they won the state championship as Year 12s: very exciting. That facility with language has largely disappeared—at least in English. You see it globally in journals, books and so forth. From another angle or perhaps from another level universities no longer allow postgraduate research students much time beyond the stipulated three years for writing higher degrees, perhaps three months on medical grounds. I spent nine years writing my own (in history). It meant much more than three years simply labouring in archives. Fortunately, too, I had a supervisor who fussed about the precision of my language, which most do not. The result was most satisfying all round. You will, I hope, forgive me not descending to particulars regarding the locations where one might find a “cargo cult”, etc. Gees Mudcrab, those were African swallows. Now for your penance, explain to us how pigs’ bladders may be employed to prevent earthquakes, or possibly climate change. I wonder if the government would subsidise wind farm removal, or organise a hasty, and ill-managed scheme like “pink batts”, or the B.E.R., where basically anyone can have a go at taking them down, even if they’ve never been anywhere near a wind turbine…? And what about the disposal of untold numbers of solar panels when they reach the end of their lives? That is going to be a big problem. Already, Japan is counting the cost. They can’t just be buried in land-fill to dispose of them, not with all the heavy metals in them: Cadmium and Lead espec. According to federal data, however, building solar panels significantly increases emissions of nitrogen trifluoride (NF3), which is 17,200 times more potent than carbon dioxide as a greenhouse gas over a 100-year time period. [v] NF3 emissions increased by 1,057 percent over the last 25 years. In comparison, U.S. carbon dioxide emissions only increased by about 5 percent during that time period. Further, while nuclear units can easily operate 50 or 60 years, solar panels have relatively short operational lifespans (20 to 30 years), so their disposal will become a problem in the next few decades. While nuclear waste is contained in heavy drums and regularly monitored, very little has been done to deal with solar waste. Solar waste outside of Europe tends to end up in a large stream of electronic waste. Veolia opens Europe’s first solar panel recycling plant in France using robots to disassemble panels and recover glass, silicone, plastics, copper & silver. It fails to mention the fate of other nasties. We should push for monetary bonds paid by wind operators to cover the cost of their removal and site rehabilitation. Right on the button, Gerard. Good thinking. And that goes for Solar too. Everyone who installs solar panels should have to post a Disposal Bond, to cover their removal and recycling. The money will be in having the tech to dispose of such waste….. Indeed. We could call it ‘The Past Fund’. The stupid greens forced this potential time bomb on the world, so it is reasonable to expect them to clean up the mess. The Greens prevent reasonable burning off of fuel loads in our forests, resulting in massive wildfires time and time again. Since when has any Green participated as a CFA etc volunteer? our 24 x 7 factory, they got a call at 2am direct…..seemed to lift their enthusiasm to solving the problem. Greens who stop back burns should be encouraged to come and fight the fires they were basically complicit in allowing …. and let the fireies vent their minds to them directly….wont be pretty…. Someone, not me, ought to investigate whether or not there are agreements — with funds — in place for the removal, as necessary, of wind turbines, solar panels, or other power structures. Near us there is a 30 year old Darrieus wind turbine. It never produced energy because the company that put it up went bankrupt and legal issues prevented anything being done about it. I need to take a photo because since then there are new turbines on the skyline near it. My guess is that solar panels on single family homes is going to be a more vexing issue as they age and/or fail. Many have been installed by local companies that disappear on a regular basis. Perhaps local heating and air conditioning business will step into this void, providing a needed service for a fee. I very much doubt that the greens thought as far as doing anything about removals, their reasoning power doesn’t extend that far, besids which the moment the subsidies end the companies that own the turbines will cease to exist or go bankrupt to prevent anyone taking them to court to force them to pay for removal. Ivan, of course the Greens, Labor and the Turnbull parties never considered their removal as they, like the Fairfax and ABC collectives are convinced that once up, they are there forever providing eternal renewable energy at no cost. Anyway, here is some light entertainment (other than when the bird gets chomped): https://www.youtube.com/watch?v=MVHzfUWul2Y , and there are many more videos if you search. Was that carbon pollution in the collapse of windmill no 1? I thought windmills were supposed to eliminate this scourge on the earth! As Gerard above says. and they should have the bite for the bonds put on them now before they have had a chance to enjoy their gains, rather than later. Look on the bright side. Perhaps eventually the rate of failures will far exceed the rate they can build them. That is coming closer and closer for Musk. Gentlemen, start your [imported diesel] motors! What’s that? We need money to import more generators? Just sell more coal, sillies! We’ll win this War on Coal if we have to raffle every last lump of coal we can gouge. Guys, I know money doesn’t actually exist when Joshie’s and Mal’s mates lend it out. But it always feels like it exists when you have to pay it back! Give it more time and we will also need to import coal. The country under both LNP and ALP has been gradually heading to the state of STUPID ones step at a time. Josh Frydenberg has organised a backbench meeting on Tuesday to quell dissent. Do you really think he means that? Or is he trying to squash opposition by making a vague promise? Trying? Turnbull et al have successfully squashed opposition in the LNP years ago. Abbott et al need to grow a spine and react if he really believes the government is heading in the wrong direction with energy policies. Its a vague promise to quell dissent, but it won’t work because the ginger group will demand a Liddell refit or new Hele and make it part of the Party platform going into the election. Let’s hear a pro-coal statement from Josh which is expressed without subjunctives, conditionals, future tense and the like. Something like “we need modernised coal power not now but yesterday”. “Would welcome” means that someone is allowed to bust a gut trying. “Would welcome” means that there will be more than enough taxes, regulations and obstructions to stop it happening. “Would welcome” means that you want to quieten a few conservatives while the green carpetbaggers continue to plunder and wreck. We just need someone electable who’s going to make coal happen. Fortunately, making coal happen goes with being electable. Or are we waiting for Sam Dastyari to become Pekin’s Aussie gauleiter? No we are waiting for Abbott et al to make their move. If they don’t then the ALP+Greens will do it for them. The only move that Abbott can make is to The Conservatives, which out of loyalty to the Liberal Party he has refused to do. He has tried to rescue the Liberals from stupid policies by speaking out but his “reward” is to be ignored and have active moves made to replaced him in his electorate. (On that he should wait until the election is called and switch then, catching them without a well known name and likely to get back). If he goes he need to take others with him for credibility, but some of the conservatives (Cormann) won’t go, and others face losing their seats at the next election. It seems that the Labor Party are facing up slowly to the Shorten problem, in that he is the cause of a lot of voters not wanting Labor. If he goes, and is replaced by someone other than Plibisek, then Labor will be streets ahead for months at least, even on existing policies. I agree and it’s what I’ve been saying for a long time now. However, I don’t see it happening since Abbott and others have no real spine. They are just career politicians like the rest of them and bend with populism like the rest of them. That’s why Cory left the party – he saw the LNP was in self destruct mode and wanted to see if he could make an impact. SO far he has failed mostly due to public apathy. The next few months to a year is going to turn out to be super critical to the future of this nation. I am also interested as to the public opinion at the next federal election. Either they are awake by then and decide to give neither party majority rule in parliament to voice their disgust with the way the two major parties have been destroying our economy and social values, or they will do what they typically do and couldn’t care less whoever forms government and continues to lead the nation over the cliff. Voters don’t realise they have all the power they need to change the direction of this nation. However, so many simply don’t bother to think before they vote. Cory Bernardi with some inside information. Agree. That’s why if anyone really wants to send the message loud and clear that we must scrap the Paris Accord and renewal subsidies then voting for the ACP is the only real alternative. Too bad they are not taken seriously by enough people. All other parties either have no policy on energy or have a deliberate plan to continue encouraging renewables at the expense of coal fired power stations all in the name of reducing our emission to save the planet from so called CAGW. One can’t duck and weave out of that issue. Either one supports it and votes LNP, ALP or Greens accordingly or is against it and votes ACP. Those who are undecided or don’t bother to think about the issue can continue to voter for LNP, ALP or Greens, and that’s exactly where we are at. We get the government we deserve. Keep in mind that the zealots are not happy with the NEG either. ‘Andrew Stock says the federal government’s national energy guarantee is “woefully inadequate” and will bring forward no new renewable energy capacity over the next decade. “If electricity demand doesn’t grow, and no existing coal plants shut, the modelling by the energy security board last year shows there are virtually no new renewables … that need to be built,” he says. That only puts more pressure to close down coal fired power stations faster than they anticipated to reduce CO2 emissions and save the planet for the mythical CAGW. The renewables scam is starting to fall apart as do all scams in time. General Sir John Monash built Victoria’s electricity system; Energy Minister Frydenberg will destroy it…………. It does not put a price on emissions. It is not an emissions trading scheme. What the NEG does seek to do is put in place a unique condition, working through the retail environment, that addresses reliability concerns whilst ensuring that Australia meets its emissions reduction targets, and it seeks to do that in a context that puts downward pressure on prices over the long term. It is a technology-neutral approach. It doesn’t seek to pick any winners. It is an approach that ensures that investment flows to those areas of the energy-generation market that can best guarantee stability and reliability whilst ensuring that Australia meets those emissions reduction targets. We all know that wind and solar are not reliable, not affordable and not sustainable. So we should expect the NEG once completed and announced will remove all subsidies for renewables to create a level playing field and promote a technology-neutral environment as they are promising with NEG. In that case nuclear is the only option that satisfies the NEG goals. I look forward to hearing the announcement from the government very soon that nuclear power stations are permitted to be built. Hahahaha! Gotta love pollie waffle. “It puts downward pressure on prices over the long term.” So no promise of lower prices before the next election, in fact no promise of lower prices in the next ten years, but maybe, just maybe, prices will be lower than under some other crazy alternative policy. No comparison of what prices would be if we had no government interventions in the electricity market. And more waffle: “It is a technology-neutral approach“. So by all means burn coal, as long as it doesn’t generate any of those nasty emissions – that dirty plant food CO2. In the real world “technology-neutral approach” means the nuclear option is on the table but the truth is it’s not because they are masters of Orwellian speak and don’t live in the real world. “downward pressure on power prices” is definitely polly-waffle; vague, no time-frame, specifics-free and able to be dropped into the word soup of polly jargon with lots of ‘outs’ when power prices rise. South Australian Energy Minister Tom Koutsantonis said the new power plant would reduce electricity prices in the state. Minister for Energy, Tom Koutsantonis, said the Energy Security Target is designed to both put downward pressure on power prices and improve system strength. “Gas extracted through the grant scheme will be offered to South Australian electricity generators first, increasing the affordability of supply and putting downward pressure on prices,” said Mr Koutsantonis. Energy Minister Tom Koutsantonis said the rate of people being cut off was stable. “The power disconnection rate in South Australia has remained stable since 2012, but we do need to do everything we can to put downward pressure on prices,’’ he said. Over the period of these ‘assurances’ from Tom my average KWh cost for electricity has been ‘downward pressured’ from 29c/KWh to 38c/KWh with a major de-pressurised increase of 5c/KWh only 12 months ago. Tom and his cohorts are still sucking from the public teat with no sign of any embarrassment over the failure of their policies. No doubt they will have more polly-waffle to justify this by claiming the prices would nave had less ‘downward pressure’ under another political party and that their actions were to the benefit of us plebs. ‘The Coalition has voted with One Nation in the Senate, backing a motion calling on the government “to facilitate the building of new coal-fired power stations and the retrofitting of existing base-load power stations”. It was a close vote and I’m assuming Cory supported the motion. A total waste of time. The LNP federal government have been favouring renewables not coal. It will only change if NEG includes the abolition of all renewables subsidies as part of their re-election promises at the latest. Otherwise those in the LNP who oppose Turnbull’s energy policies can huff and puff all they like but nothing will change unless Turnbull is replaced by a leader who will abolish all renewables subsidies as a minimum. Morrison has already hinted that subsidies will disappear by 2020 and you can see it in the fine print of the NEG …. ‘technological neutral’ means that energy technologies “compete on their merits” without subsidies. Too late by then. Action needs to be done before the next federal election with follow-up promises. It’s really do or die stuff now, not in years to come given the ALP is very likley to be in government. We need a leader like Howard who placed his whole career on the line by promising to introduce the GST and won. This time we need a leader to place his whole career on the line and promise to scrap renewables subsidises to create a real level playing field and stop the nonsense. Of course we could hope that Turnbull stumbles across the line and then a new leader takes over but that’s hope upon hope. The ginger group is charismatic and I have faith in them. We shall see. I hope you are right. Sorry Gordo, but mumbling away in the background doesn’t equate to charismatic behaviour in my book. They need to stamp their feet a bit and get themselves heard instead of meekly twiddling their thumbs. Exactly what trigger are they waiting for to spring their charismatic trap on Frydenberg & Co? Their huffing and puffing of a couple of months ago has turned into a deathly silence. The plan is to cross the floor, they have nothing to lose and everything to gain. Of course politicians never fail to disappoint, so if they fail to cross the floor on this issue there won’t be a Xmas coup and I’ll be voting Informal. Hey Gordo. Just found this on the Monash Group’s activities from a week ago. I hadn’t heard it from any other sources. You may be interested. ‘Mr Gee said consideration should be given to the “federal government intervening in the electricity market by capping the wholesale price of electricity”. You are misreading what has been stated. The NEG does not plan to increase the RET; but all existing subsidies remain till 2030. The price of LGCs are forecast to fall as the 2020 RET is met or even exceeded but ambient energy project proponents seem quite good at delaying LGC sales to maximise their value. If they flood the market with certificates they know the price will tank. The large scale ambient energy sector is bitterly disappointed that the RET has not been increased with guaranteed beneficial transfer payments well beyond 2030. The STCs credited to rooftop solar are calculated on diminishing recovery period, to phase out by 2030. So an installation completed in 2018 only has a prescribed recovery period of 12 years compared to 15 years maximum before 2015. The existing RET is highly disruptive and guarantees higher electricity prices. I cannot see any way that the NEG can deliver lower power prices. In the long run it may limit additional ambient generation but having scheduling priority for ambient generators effectively kills coal generation. I see that it will encourage more diesel generators as these are the lowest capital cost and have fast start and ramp times. Thanks Rick, its worse than I thought. It’s worse than that. The ALP states will not approve of the NEG and so will be dumped if there is any mention of special allowances for coal fired power stations and/or a reduction in renewables subsidised in the short term. The LNP have both hands tied behind their backs and the feet in hardened concrete. Frydenberg’s NEG talk is just smoke and mirrors. Those in the LNP who are on the side of saving our coal fired power stations and building new ones should see that by now unless they are as stupid as I think they are. It’s all just a bluff to appease both sides of the debate until the next election at which time if somehow LNP manage to win they will continue as usual with renewables at the expense of coal fired power stations. Turnbull et al have no time for coal fired power stations – never have and never will. If those in the LNP really want to make a difference then they have to stand up now and act rather than acting like meerkats popping up and down to see if the scenery has changed. The subsidies are crucial to the renewables scam, so they won’t be removed. At present they are a wonderful way of disguising the cost of renewables and, since they are added by the retailers, an excellent shifting of the blame for increasing bills. Consider what would happen if they were removed. Firstly the wind (and solar) ‘farmers’ can bid low prices in the ‘auction’ and undercut coal fired. This gives them a share of the market and pushes up the price of coal fired (if you can meet your costs running coal at 90% of the time and are suddenly reduced to income from 60% of the time while you still have to run as backup so your costs stay the same, your cost to run will go from $40 to $60). It doesn’t matter to the wind farmers as the price they receive is that by the last block of supply accepted, and in any case $45 + $80 subsidy makes them profitable. Take away the subsidy then the wind farmers have to bid above their cost or go broke. Further to have a more constant supply they will need to buy or operate OCGTs which cost more than wind to operate (or buy from Snowy 2 at $40 more than they got). That means that if there were enough coal fired to supply demand then no (more expensive) wind would be used and the wind turbines would be reduced to scrap value. This is most probably why AGL want to shut down Liddell and create a shortage and higher electricity prices. As I understand it, the Large scale Generation Certificates (subsidies) continue to 2030. At the moment they are high priced because much of our electricity comes from coal (+ some gas) so even at 33% renewables generating 1 certificate, there is a demand for 2 certificates. At 50% renewables the demand is satisfied, at 60% renewables you will have to give some of those certifiates away. Countering that will be the impact of Snojob 2. Assuming that it comes on time and in budget (can you think of a government job that has?) that means $10.2 billion that it has to generate. It is probable that it will operate at 80% efficiency and use sudden increases in supply (e.g. renewables) and sell at an increase of $40 dollars per MWh (or more if the cost goes up). So if our wholesale price is around $100 a MWh now, and renewables do actually drop to $75-80 in cost by 2030 (Finkel) the effect will be an increase in the wholesale price at times. The renewables operators cannot sell at less than cost or they will go rapidly bankrupt. So this talk by Greenies of solar PV selling now at $40-50 UNSUBSIDISED is nonesense. At over $90 they would be losing money which is not what motivates them. So the ‘real cost’ of Solar PV is around $120-130, or 35-40% net return – as Arfa Daley would say “a nice little earner”. In future the operators (without the RET) aren’t likely to want less money, so as (and IF) their cost drops 20% the wholesale price will still be over $100. Even if they sold at cost (about $75) then the wholesale price will be $115 or more when the wind doesn’t blow and the pumped storage adds ‘their’ $40+. This assumes that the RET Certificates aren’t in use at that time. If they continue then the calculation $40 is the cost of 20% of pumped storage so the selling price will most likely be around $200 per MWh which would provoke a revolt. So the government is speaking the truth when they say their NEG will reduce prices. They will fall but only after they have continued to rise much higher first. It’s yet another example of how governments can say something that’s actually true if one takes time out of the equation. That’s like Einstein removing time from his equations to make them simpler. Too bad we live in the real world in which time exists. Lie 1- “stability and reliability”. Look at SA and ask if it is stable or reliable…. Lie 2 – Australia cant meet its emissions targets while generating electricity….ever…. So all in all, it is a way of putting our industry into a nose dive to solve a non-existent CAGW problem. Some would call it sabotage…. IT IS A CARBON DIOXIDE TAX………. Everything that can, does go wrong. You haven’t allowed for the excess necessary to pump water up hill. On that I am glad, although a little surprised, that the current Federal government has grasped that water will run downhill. So it will be closer to 40 times. Again this is grossly oversimplifying the picture. It is WAAAAY WAAAAAY TOO OPTIMISTIC. As the market share increases curtailment becomes a constant factor. That means the capacity factor falls well below the unconstrained factor. The sum is simple. Average NEM demand is 26GW. Unconstrained capacity factor is 27%. So 96GW would do the job if there was infinite storage. Without storage, any time the generation potential exceeded 26MW the generation would be curtailed. Storage has a high cost. When the time factor of intermittency is considered and the optimum price for generation and storage is determined the capacity factor drops to about 10%. So a 26GW demand requires 260 to 300GW of wind or even higher with solar. Roughly 60 times what now exists. If you do numbers you should aim to be realistic. You give the hapless clowns dreaming up these nightmares hope when you grossly underestimate the task to make ambient energy a usable source of electricity. The only sensible place for ambient energy supply is in low energy intensive applications, off-grid and generation at or near load. At peak demand yesterday, RE was supplying a massive 1.1% of demand! And of course, that was all wind, as solar had to bed for the night! The wind industry has no shortage of challenges. A big one is manufacturing reliable, cost-effective turbine components that operate with minimal maintenance or repair. But almost without exception, turbines operate under extreme conditions that put components under considerable wear. Budgets must account for upgrades, logistics (including cranes for onsite repairs), and skilled wind techs who can perform the necessary repair tasks. As towers get taller and turbines grow in capacity, components must also increase in size, which adds to costs. Taller towers mean taller cranes and larger repair bills. Sales talk. Doesn’t mean the coating aren’t good, just that they’re expensive. 27 Jun: PBS NovaNext: Can Wind Turbines Make You Sick? But whether the sound, audible or inaudible, actually impacts human health remains a deeply contested issue. “If you just talk to people who live around these things, there’s no question that people are getting sick,” Smith said. Through the grassroots organization she heads, Smith has helped organize public hearings for residents who report serious illnesses as well as lost hobbies such as gardening due to infrasound vibrations. In one case, a resident named Luann Therrien, who lives less than a mile from a 400-foot turbine, said she initially supported the wind projects. “We were not against the turbines before they went in [but after] we were dizzy, had vertigo like you wouldn’t believe,” she said at one hearing. One theory from residents as to why these effects don’t show up in the studies is that the Vermont mountains funnel the sound in a way that the flatlands of the Midwest do not. Others say some people may just be more susceptible than others to the inaudible noise, like sea sickness. In response to these lobbying efforts, Smith said the utility companies have shown no willingness to talk about tangible solutions, such as real-time monitoring of noise, like what happens at airports. “They just deny it happens,” she said. Apart from noise, Smith has what she calls “a menu” of other issues with industrial wind projects in residential areas. She cites the environmental effects of building roads and blasting ridge lines, changes to the topography of the land, and changes in wildlife populations. Smith, who lives “off the grid” with solar panels and the occasional diesel generator supplying her electricity, questions whether a commitment to this carbon-free source of electricity comes at too large of an expense to the rural communities that house them. I have written on this before. VLF pulsing is a serious issue. The medical issues described are real but are not to be found in Western countries because the health and civil damages claims would be huge. Basically the VLF pulsing impacts the body through the mouth to the lungs and through the body’s largest sensory organ; the skin. The feedback to the brain interferes with the body’s respiratory reflex including, and especially the heart. It makes perfect sense that windmills don’t last long and are prone to failure. Unlike a real power station where the rotating masses turn at roughly constant RPM, windmills constantly change their operating speeds and like any other machine that operates in an intermittent rather than constant manner it is an ideal environment for the development of fatigue cracks and other wear and tear associated with constantly varying speeds and loads. Good points but it’s even worse than that. Even at constant speed, a wind turbine loads the tower and bearings in a varying, cyclical manner. Wind shear and blanking by the tower causes fluctuations in the torque and cantilever produced by each blade which results in varying axial loads on the shaft and bearings and a varying bending moment on the tower. If you look at wind turbine specifications, they are designed to cope with very severe loadings – far worse than would be expected from a casual assessment. Even the bearings that allow the nacelle to rotate are subject to severe fluctuating loads. It is no wonder that wind turbines suffer from fatigue stress, brinelling, galling and fretting as even with constant speed, just about every component is continually subjected to load variations. I would suggest a steam turbine is balanced as it spins around 50Hz whereas a wind turbine is not, they are heavily front loaded and when the wind is not blowing they draw power from batteries/grid to keep the blades slowly turning so the bearings dont get damaged then if you factor in the engineering lite approach to keep costs down etc they would be lucky to last 20 years. A take away. All the environmental energy scavengers need to be exposed to the environment . this is not good for them given that the environment includes quite energetic events or even enemies tossing bombs at them. The Queen’s income was boosted by offshore wind turbines last year, as the Crown used its ownership of the seabed to help pay for repairs at Buckingham Palace. The royal household will take a quarter of the profits as part of its “sovereign grant” to pay for the maintenance of the royal palaces and residences. The Treasury increased the proportion of annual profits given to the Queen from 14 per cent to 25 per cent last December to pay for improvements to Buckingham Palace. The estate’s best-performing investments last year were in its 1.4 bilion energy, minerals and infrastructure portfolio. Here is a collection of wind turbine failures. There are a number of such videos but this appears to have some new material. Its chief executive, Alison Nimmo, said offshore wind turbines installed on its sites can produce enough electricity to power 5m homes. UK waters are home to more than a third of all offshore wind turbines around the world, she said. Offshore windfarms are on course to deliver 10% of the UK’s electricity demand by 2020, after costs more than halved between 2014 and 2017. You must have had the latest ‘meme’ how we need more wind turbines because the wind is always blowing somewhere, and it amazes me how these green supporters think that wind blowing in far North Queensland can deliver power to Adelaide. So the wind power here in Australia has a Nameplate of 5222MW. The last ten days totals, starting Monday 18th June. This is the average per hour for all 24 hours of each day for every wind plant in the Country. That’s not much more than one eighth. Bayswater has four units and Eraring has four Units for eight Units in all. The equivalent percentage (one eighth) is the same as those two power plants having seven of their eight Units in total off line for all ten days in a row. If that actually happened, there would be screaming from those green supporters about how useless they are, and how they just cannot be relied on any more. They can fall down, they are an eyesore, they can last 15 to perhaps 20 years, they are noisy, they are a blot on the landscape, all of these point are important, but the biggest and most important of all is that THEY DON’T DELIVER. Tony, I assume you won’t mind if I repost that? David, and anyone who wishes. I have no problems with reposting of any of what I do anywhere. I used to do it myself, but I got sick of the ‘flaming’ I always got, so I just don’t do it any more. I used to even send occasional stuff to Parliamentarians, but all I ever got back was the form response from gophers or automated replies. I don’t have enough hours in the day these days to go to other sites and mention all these things. I suppose even that some may think me lazy for not doing that, or even relying on others to repost what I say, but I have the idea that if I do what I do, and then Post it at my site or here, then that’s enough for me to be doing the work I do, and then others will repost it if they wish. I stand by everything I do, because after all, most of it is just collation of data and then showing that. It is a worse picture when you work out the percentage of the overall demand they are meeting. The Green Blob have no counter arguments as there are none. Keep in mind that this aslo was the total from all renewables of choice, wind, solar, and rooftop soalr power, as the Sun had set by 6PM. That’s ok several posts on renew economy are stating that no one needs 24/7 power so “flexible dispatch” should be ok for everybody. I despair at such abject stupidity. What on earth is flexible despatch? Selective availability of power? Companies having to produce their own power? The concept is that you only use power when it is available. For example your fridge and freezer have enough insulation so they can be without power for a week or more. Your hotwater storage is a very well insulated below ground tank the size of a typical household swimming pool that can hold enough energy to last for weeks at a time. It can also be heated directly from rooftop heat collectors rather than electricity or gas. You use your electric car battery as a back up when your house battery is flat and the mains is dead. Also Aluminium smelters should all use waste gas from LNG plants rather than using precious electricity from ambient sources. The ideas are endless and uncosted. But if electricity costs a king’s ransom and is only there when the wind blows these very expensive options may be cheaper than more electricity. Whatever the cost is, it is worth it to save the planet by not burning coal!! This alone demonstrates your ignorance – electricity is needed for the reduction (chemical) process to work. The heat needed to keep the pots molten is an unavoidable (but highly useful) byproduct of the process. And I’d like you to try insulating your freezer or even your refridgerator so that it can keep temperatures low enough for food not to spoil if powered off for a week, even if you don’t open them during this period. You can daydream all you want but without dispatchable power, we return to hunter/gatherers with some subsistence farming in especially fertile regions. 1 / The concept is that you only use power when it is available. So after over 3/4′s of a a century of a complete reliability and a never ending adequacy of supply of elecricity from coalfired generators we , by Rick Wills idea of progress, now have to regress back to around the reliability and adequacy of electrical supplies around the beginning of the 20th century now some 100 years in the past. To do that we are apparently supposed to completely discard a century of progress in energy adequacy and reliability an adequacy and a reliability upon which our entire society, no matter who or what or where, has become totally reliant upon an unbroken supply of electrical energy incorporating a rarely if ever challenged adequacy of supply over those 100 plus years of electricity in Australia and the western world. 2 / For example your fridge and freezer have enough insulation so they can be without power for a week or more. I guess Rick Wills must have one of those few hundred cubic metres freezer rooms as his personal refrigerator storage . Sure they, that is those huge freezer rooms , will store pershable goods without power input “Providing ” they are full of frozen product when the power goes out and aren’t opened at all or only rarely during that first week the power is out. After that a few millions of dollars of foodstuffs are tip bound! If you are talking about a domestic fridge I suggest you try and prove your claim personnally with your own fridge “Before” you come here and post your foolishness for all to see. 24 hours without power and items begin to melt. 72 hours without power in other than Tasmania and you had better be prepared to throw some items out from a domestric fridge. If you are located in Antarctica or on the oil fields of Alaska’s Prudhoe Bay, then yes, as fridges are used to keep items warm enough to handle and eat. 3 / Your hot water storage is a very well insulated below ground tank the size of a typical household swimming pool that can hold enough energy to last for weeks at a time. It can also be heated directly from rooftop heat collectors rather than electricity or gas. This item should go well if you live in a high rise or a block of flats that somebody else owns or you live in a town house, one of say 3 or 4 town houses on the block or a block that you only have room for a carport as well as the house or you have just spent up big on your future house which will take 25 years or more to pay off on your wages or you have 4 kids to put through school and which after spending a whole few years wages to install the whole system, the whole climate change cult collapses and new coal and gas plants are built at a great rate and / or somebody gets into government who throws this entire climate debacle and all the government ordained crap that goes with it out of the window and invites the very newest modular nuclear reactor manufacturers to come into Australia and begin building a large network of modular reactors which will bring power costs down even below those days of old when power was cheap and reliable. Maybe you should just spend your money on a swimming pool instead! 5/. You use your electric car battery as a back up when your house battery is flat and the mains is dead. And then next day there is still no power so you cannot even go anywhere even in an emergency because you used up all the car batteries power last night which ran to all of two hours extra household power . It seems that you don’t really understand the principles or the technologies and their inherent limitations when you use such foolish statements to make claims which have no technical backing at any level for the uses you are proposing. And re Aluminium Smelters and renewable energy supplies. Germany has at the moment some 29,000 wind turbines installed, soon to be reduced by up to or exceeding over 4000 turbines which will be taken out of commission when most German subsidies end after their 20 years mandated lifetime by 2023 or thereabouts. Germany also has 4 [ four ] aluminium smelters who obviously use the German grid for their power for smelting aluminium. The TOTAL ANNUAL and ACTUAL GENERATED power [electricity ] from those 29,000 German wind turbines is only enough to supply roughly 80% of the required annual power needs required to run the pot lines in those four German Aluminium smelters . The rest of Germany and Germans , all 80 odd million of them rely on coal plants which they are busily adding new plants to using “highly polluting” lignite AKA “Brown coal” to us, plus nuclear generated power from two of their own reactors which are not yet de-commissioned as per German government decree , plus French nuclear generated power, plus Polish coal generated power, plus Danish wind turbine power when the wind blows [ the Danes have banned the building of more wind turbines in Denmark and in Danish off shore zones as they simply get overwhelmed with power when the wind blows and run short when the wind does not blow ] plus Norwegian hydro power, plus Austrian coal power and etc. Your claims might have made a deep impression on the gullible green and basically technologically ignorant city centric elites but here on Jo Nova’s you are posting to a very switched on group who are technologically aware and very savvy on so many subjects. Even more so, are deeply and politically aware of the unholy mess that the politicians aided and abetted by the ignorant and technologically ignorant elites with extremist agendas who have promoted ideologies over and above realism in our real energy needs and our needs for efficient , reliable, cheap and adaquate electricity needs have without ANY public consultation, imposed on our populace . Those same politicians and ideologically motivated, utterly ignorant of realities in our energy needs elites , have instead forced with WITHOUT any reference to the real needs of the citizenry, a supposed energy generating system that is completely unpredictable in both energy output and in timing , that is unforecastable, that is utterly incapable on its own at any level of supplying the regular and reliable and cheap and adaquate power needs of a modern industrial and technological society. Instread as we see so often the renewable energy generating system we have had forced onto our nation by the politicians and agenda driven elites needs a parallel and reliable fosil fueled generating system as a back up to maintain our national power needs. All off which has created an immense and totally unneccessary extra costs to the Australian public, that is environnmentally destructive both to animals and birds and to the welfare of those forced to live in the vicinity of new wind turbine farms, that will by all accounts lead to truly immense and horrendous clean up costs when their economic life is finished which economic life is now well known to be half or less than half as long as a coal or gas or nuclear powered genration plant. And the final piece of utter l insanity by the politicians and all the renewable energy advocates is that this utterly unpredictable and unforecastable renewable energy generating system is mandated by the politicians in the various parliaments to be given first preference without exceptions to provide energy to the grid over and above the utterly reliable and predictable, century long proven fossil fuel powered generators who are only called on when renewqble energy can’t supply and fails to supply the electrical power they are contracted to provide to the Australian public from whom they get their lavish subsidies and from whom they make their lavish profits..
A few people missed the irony of Rick Wills comment! The give away was the underground swimming pool. Where will they dispatch that from? So wind with about 14.1% of all installed generation capacity including both reliables and unreliables produced just an average of 1.5%. ….. of the last seven day’s Peak Power requirement. Flexible means we need to be flexible with who gets power and when they get power, flexible is the new code speak for windmills are sh&&%%it but we cant acknowledge that so we now need to reduce our consumption to match the windmill output. This is even more poignant – on THIRTEEN occasions this month (so far), the ENTIRE 1800+ MW wind turbine capacity in SA failed to generate 50 MW of electricity. This confirms that the ENTIRE 1800+ MW of wind turbines need to be fully backended by traditional thermal and hydro generators included those whose power is delivered over interconnectors. Josh Frydenberg, Tom Koutsantonis, Lily D’Ambrosio and all the other energy ministers need to explain how this is saving the planet from anything. Actually, examining the days where these dropouts occurred shows that the output total fell to less than 30 MW during these periods – a capacity factor in the order of 1.5%. No such luck, he’s still in Parliament and occasionally appears on the TV blaming the new government for problems left by Labor. As for calling him a criminal I think you should be careful as he hasn’t been convicted. Switch to criminally careless or criminally insane as he can’t object – well he can but his lawyers wouldn’t dare put him in the witness box. Yes, but apart from that? Electricity prices have doubled over the last 18 months. That’s bad news for Germany’s Mittelstand sector, which hasn’t done enough to hedge itself. Power prices are increasing, and that’s turning into a problem for Germany’s huge Mittelstand sector of small and medium-sized companies, many of whom haven’t hedged themselves with futures contracts. A megawatt hour is currently trading at just over €40 ($46.70) on the futures market of the Leipzig Energy Exchange EEX, well up from below €20 at its lowest point in February 2016 and following sharp rises in world prices for oil, coal and gas. Big companies had locked in low prices for a number of years with futures contracts but many of those contracts are due to expire next year or in 2020 — and scores of Mittelstand firms are now facing the full brunt of the price hikes. “There are no signs that power prices will fall again. On the contrary, there’s a high probability that they’ll keep on rising,” (Hahn) said. ***The chief financial officer of energy giant RWE, Markus Krebber, told Bloomberg this month that the German government plans to shut down the most heavily polluting coal-fired power stations on top of the phase-out of nuclear plants would force utilities to plug the gap with renewable power, which is more expensive. Those incentives were slashed dramatically at the start of 2016, largely killing the financial attraction for householders. Installations plummeted and companies folded. Next April the scheme closes entirely and ministers are yet to signal that it will be replaced. “This is heartbreaking for me,” Alan Simpson, an adviser to the shadow chancellor, John McDonnell, said. ***While the economics of solar are improving, few think they will stack up in coming years without some form of continued support. Turbines have been frequently left standing still, with several days having almost no wind at all. However, in June so far, wind has averaged only 3.4GW of output, or about 11% of power demand. That is down 24% on June 2017, which averaged 4.6GW or 15% of demand. The significant drop-off comes despite the fact that the total capacity of windfarms on land and at sea has grown considerably since last June. Installed capacity is up 2.5GW, to 20GW. Experts said the wind drought highlighted the need for a diverse energy supply. Dr Iain Staffell, a lecturer in sustainable energy at Imperial College London, said: “This is a clear reminder that we cannot rely on one source of electricity alone. Back in March the UK nearly ran out of gas during the cold snap; now in June it is wind that is in short supply. For 13 days of the month, solar panels outstripped windfarms for electricity generation. But never, ever have something truly dependable like coal and nuclear. That would never do, now would it? “This is a clear reminder that we cannot rely on one source of electricity alone. It is a reminder that ambient energy sources are inherently unreliable. A lesson learnt in the modern world when sailing ships were replaced with coal fired stem ships. Anyone operating a coal fired generator can survey their coal stocks and know exactly when they need to mine or buy more coal. It is quite easy to rely on ONE source providing it is reliable. All it demonstrates, yet again, wind and solar ARE UNRELIABLE. More than 400 residents attended the township’s Board of Trustees meeting this week to voice opposition to DTE Energy’s wind farm proposal. Many cited excessive noise, health concerns, wildlife damage and impact to property values in their complaints. A public hearing concerning wind turbines brought a standing-room-only crowd to the Mount Haley Township Hall. One major concern was the loss of property values. A Mount Haley resident quoted a Forbes Magazine article that stated turbines decrease property values by 25-40 percent. • Breckenridge Schools are hiring additional staff for their schools due to taxes on wind turbines because of wind leases in Gratiot County. • How will wind turbines be sustained if subsidies are removed? • Un-subsidized wind energy is getting cheaper all the time. • Who will clean up when turbines are no longer useful to the utility companies? • We don’t want them in our backyards. People are in favour of wind farms only when they are far away from them. Also see the furore in Fremantle about the (Green) Council wanting to install a large solar PV ‘farm’. Mostly I think to avoid the cost of cleaning up the rubbish dump site. The residents seem to think piling more rubbish onto the site isn’t sensible. Just use “Google Images” at the top of the google page opened when using a google entry such as “Wind turbine failures ” or” Images of Wind turbine failures” for pages full of wind turbine pics either operating or defunct and crashing. The German owners / operators of wind turbines are supposedly required to remove all evidence of a wind turbine installation after it becomes defunct including the few hundred tonnes of concrete and steell used in the foundations. What they are doing is removing about a metre off the top of the foundations and then covering the rest of the huge concrete foundations with earth to make it appear it has been rehabilitated. 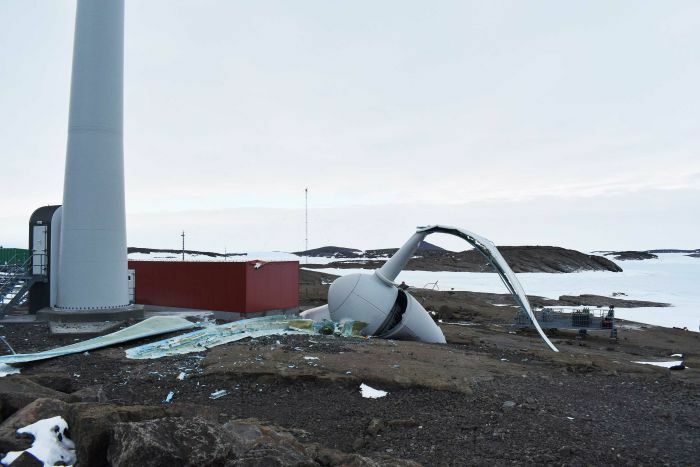 The UK site “National Wind Watch “tries to keep tabs on all the accidents and turbine failures that are reported from many countries, reports of which are usually only found in the local papers. They have a good sized list on their site under “Accidents “. Check at the bottom of this list for “Earlier pages “. How many I haven’t yet counted but the list of wind tiurbine accidents runs to a number of pages within the last couple of years. may be of interest also. The cost of insurance will become astronomical. If they cannot be insured they will not get finance to build them. If the turbine gets 30% CF then each MW installed will produce 2628MWh in a year. So at current EU wholesale price of EUR40/MWh the premium could be as high as 15% of the income. That is a big slice in insurance and will likely increase as the corrosion/fatigue issues really begin to emerge on the offshore and foreshore units. It is fortunate that electricity is regarded as an essential service and most people have to take it rather than leave it so will pay the going price. The insurance companies have a new gold mine – the pockets of electricity consumers; essentially endless. Demand from the Asian market is pushing prices for both thermal and coking coal up and, according to analysts, the trend is set to continue. So much so, a study commissioned by the Minerals Council of Australia predicts a 400 million tonne increase in annual demand by 2030 — double Australia’s total thermal coal export level in 2017. As demand for Australian coal escalates, an horizon dotted with coal ships waiting to enter Newcastle Harbour — the world’s largest coal port — is a typical sight. Executive director for coal Greg Evans said the increase in demand built on last year’s market turnaround. “The 2017 year was actually a record year for coal exports, some $57 billion,” he said. The increase in demand has been attributed to infrastructure building programs throughout Asia, along with increased industrialisation and urbanisation. Mr Evans said that went hand-in-hand with the need for affordable energy. “That’s the economic expansion story which is happening in Asia. It’s happening from Pakistan through to Vietnam, with economic development and population growth,” he said. “Breaking it down and looking at where demand is coming from, there will still be continued demand from those North Asian countries which have been the bedrock of the Australian coal industry in terms of Korea, China and Japan, but what’s interesting now is that demand is developing in South East Asia, in countries such as Malaysia, Vietnam and Thailand. “For the coking coal market, prices are around US$200 per tonne coming out of ports in Queensland and for Newcastle Port, the grade that goes to Japan, thermal coal is trading at US$120 per metric tonne – that’s the highest since the post Fukushima accident in 2011,” (Senior coal analyst with S&P Global Platts Mike Cooper) said. As well as the rising dollar figure, the stark demand for coal has been illustrated by the high number of ships waiting to load at Australian ports. “We haven’t seen queues at these levels for several years,” Mr Cooper said. “Newcastle Port has had queues going up to about 22 ships, all waiting to get coal delivered down to the port. Renewed demand for Australian coal has had flow-on benefits for rural towns in the mining supply chain, including Muswellbrook on the Hunter coalfields. Local real estate agent Grant Jupe said it was a welcome boost for the region’s property market. Minister Josh keeps on getting caught twisting facts to suit his own and the government’s agenda on electricity supply and the Paris Agreement. Only a few weeks ago Alan Jones called him out and pointed out his hypocrisy. When governments resort to deception voters know that they have a serious problem. Dennis, apologies, my vote was meant to be a thumbs up. Perhaps but so far when governments resort to deception voters are more likley to believe it rather than taking the effort to dissect and research their statements to find out the truth, which typically turns out to be the exact opposite of what they have said. If only George Orwell was alive today. He would explain it so well. Frydenberg is a hypocrite for knowing the truth and then denying it for greater power. Well worth listening to that. The LNP are getting better and better at twisting the truth. Soon they will be as good at it as the ALP. Turnbull and Frydenberg really believe it will convince enough voters to support them and their NEG at the next election – and perhaps they will. Either way this nation loses. 30,000 wind turbines in Germany. Across the landscape and in the ocean. Not ugly things in themselves but if chimneys are ugly then windmills are ugly and there are 30,000 of them in just one country, say $500Billion cost. Largely public money and used to create very expensive electricity for 20 years. So did it work? Did the windmills do what they were supposed to do? Did they reduce world CO2? Did they save the planet? Did they save Germany? Was it all worthwhile? Like Britain after the Romans left? To be honest when i wrote that i was thinking of the slums of Calcutta but there are many other examples like Iraq after the yanks left. You can rest assured that the green nutters are already planning how to physically sabotage any Australian HELE projects. As I’ve stated elsewhere having all the main parties agree about the validity of factoring “emissions” into their energy policies effectively disenfranchises me and others holding my views; all one can meaningfully do is spoil the ballot paper. I’m sure our beloved Toxic Windbag has one of his tedious and facile legalistic apologias ready to deliver to those with the patience to hear him out. When you look at the quality of the inhabitants of Australia’s parliaments, federal and state and municipal, through the years it’s hard to distinguish any improvement in their behaviour and I am still baffled by our determination to have this group of sociopaths represent our viewpoints and aspirations; there must be a better system of representative democracy. Join the club, make your vote count: Vote Informal. The checks and balances in the system are worth hanging onto, perhaps the Swiss model? Our politicians are woeful and not to be trusted. And then just a blurb about what that actually means, the amount of power consumed by Australia while everyone is tucked up tightly in bed at 4AM. That’s all it would take, because it would generate so much interest that people (well, journalists really) would then be forced to check it out, and begin to find out where that power is consumed, and from that, where it is all generated. Just that one simple headline would be all it would take. The senior editor would be the first to question it, because there’s no way known he would print it, but once he checks it out for himself, it would be the biggest ‘scoop’ of the year. Then, this whole energy thing would really get some action. Everyone (especially politicians of all persuasions) would be looking for somewhere to run and hide, let me tell you, shown up that they have been so wrong for so long, and haven’t even bothered to find out the truth for themselves. The embarrassment would be palpable. I do not see that as compelling. Two things will happen – it will get less as more heavy industry closes due to high electricity prices. It will be met with increasing proportion of gas and diesel because coal cannot respond to ups and down of wind and solar so no point in having coal generation. Coal generation needs base demand to run economically. Every MW of wind or solar added can reduce the base load on coal generators by a MW. An interesting analysis would be to look at how that 18000MW is being met now compared with what the minimum was 10 years ago and how it was met then. Where do I f*****g start? It would surprises you how small a consumer heavy industry really is on an overnight basis. Industry is the smallest consumer of electricity by percentage. Wrong! Coal fired power responds up and down on a daily basis, in fact on an hourly basis. Coal fired power can vary by anything up to 5000MW on a fleet wide basis, and it’s very carefully managed. Individual Units can vary by anything up to 200 to 300MW from a low at 4AM to the morning peak at 8AM, then back down after that morning peak, and then back up again for the evening peak. Sometimes, they will just hum along all day at their maximum, as they have been doing lately, for the last 7 days or so, with the high consumption, but normally, they just go up and down following the Load Curve for actual consumption. And, as I have found over the last seven weeks of doing the daily data, wind and solar have, wait for it ….. ZERO effect whatsoever on what coal fired power does. Coal fired power supplies what it always does supply. If wind power is up, then natural gas fired power and hydro are down, and if wind power is down, then natural gas fired power and hydro are up. Coal fired power DOES NOT CHANGE. Coal generation needs base demand to run economically. That 18000MW IS the Base Demand. It has to be met, no matter what. Where do you think that 18000MW is consumed? People say off peak hot water. That makes up perhaps 5% of that, but only for two to three hours. I mentioned it upthread here HVAC, and go look it up, and that’s a pretty big lot of that. Every MW of wind or solar added can reduce the base load on coal generators by a MW. Nup! In the time wind has started to ramp up, that Base Load supplied from coal fired power has not changed, which leads into the next thing here. Ten years ago, the Base Load was, wait for it, ….. 18000MW, and coal fired power supplied, wait for it, ….. 80% of that, the same as what it now supplies. See what I’m up against. No one has even bothered to check. A steam train or a steam ship can throttle up and down from zero to full power in a very short time, such as docking, shunting and then getting under way. First they have to get steam up, which can take a few hours in the case of a ship or a coal fired steam train but after that the whole range of power is available. I imagine that a coal fired power station is much the same. Not sure of the point you are making but there is a big difference in startup between a boat and power generator. The train simply diverts pressurized steam to the push cylinder. A second or two. A boat, as on Ole Man Ribber, is the same. A boat with a prop drive, a few minutes to get the heavy drive system rotating. The electricity generator is a whole new ballgame withered many hours required to spin the heavy rotor up to operating speed. Coal fired power has a long lead time. Coal fired power has a long lead time. What surprised me is just how quickly they do come up on line, and this harks back to an earlier comment. When it comes to short maintenance procedures, everything prior to the driving turbine and the generator is kept at operational levels, so when the time comes, the generator can then come on line quite readily, and I’ve watched (on those power graphs) them get back up to full power delivery from zero in a time frame between one and three hours, after short down times. As for long maintenance and Upgrades, I wouldn’t be too certain of how much time there is before the decision is made to turn on the generator, but consider this, and this would be for major maintenance down time, say a week or longer. The supply of coal needs to be readied, then the coal needs to be loaded into the Pulveriser, where it is crushed to the consistency of fine powder, and then fed into the furnace with blast air. The furnace needs to be brought up to operational temperature, while the water supply is piped through the furnace. The water is converted to very high temperature steam, and that steam is then pressurised, and then fed to stage one, and from there, on to stage two, and then stage three of the turbine, as it drives the generator up to speed. After these long down times, I have watched (again, here, on those graphs) power come back to maximum from zero, in a time frame from anything from 6 hours to around 15 hours, in around three or four steps. You can also usually tell the maintenance times as they come up, because power is stepped down from ‘full whack’, back to zero, over perhaps 6 hours or so. I’m only watching from the point of view of watching those power graphs, so I’m not sure of the time frame before the power does come back on line. Either way, they are pretty robust really, considering their age and what they have to do, and then, how well they do it. As to what I mentioned in an earlier comment, most Units will ramp up and down during the day quite readily, sometimes in increments of tens to hundreds of MW (depending on the size of those Units) in less than an hour or so, both down, and back up. And overall, across the whole fleet in operation at any time, those changes vary by anything up to 4000+MW, following the Load Curve for actual power consumption. Interesting that the mix of generation meeting the base load has not changed in 10 years. It must change as more wind capacity is installed because it simply becomes uneconomic to throttle coal up and down. That is why Hazelwood and Northern are both gone. With the base load stuck ay 18GW, on a per capita basis it has reduced by 15% in just 10 years; same base load supplying the needs of 3.3m more people. And that’s a bad thing for industry, employment and cost. Altogether we are now in a much badder situation. Too many Australians wouldn’t have a clue what 18000MW means. Many would think it stood for 18000 milliwatts and wonder what the fuss is all about. And therein lies the beauty of that one headline. They would ask what it means, and then the truth WOULD get out. They could have a small article under the headline as the starter for it all, and pretty soon, it would snowball. I’ve chatted at Smoko Rooms, BBQ’s & Dinners! What they care about is the BILL! Electricity cost is hurting everyone, but rego, rates, tolls, fines, NBN all these bills go up! People just work longer and harder to make ends meet. The ONLY way they will understand is BLACKOUTS! That will give them time to ponder this IDIOT government policies etc. Anything else will just be paid, and they will cut lights, cooking, food, travel, holidays to make ends meet! I feel that all your info Tony is extremely important but.. The Pollies, voters & average Joe are not interested. I try every single day and still use your old article on generators spinning at 3,000RPM to give 50Hz! Petrol stations can’t pump fuel because of power rationing? Maybe I’m wrong but I think 90% of VOTERS don’t give a rats! That’s absolutely true. Australia will only ever change by learning the hard way via blackouts. Prices can creep up almost indefinitely and the whining will come and go but that’s about all. Blackouts are the only way people will wake up to what’s wrong. Not sure about the 90% but it’s certainly the majority. Occupational Health and Safety issues with wing turbines are serious. Death and injury rate during repair and maintenance is much higher than for coal fired generators. But then, to greens, human life isn’t that valuable anyhow. That’s the dissembling and misinformation. It’s not sound, it very low frequency pressurized air, forcing its way into your mouth, ears and heart lung system. Only found in research from iron curtain countries where there is no workcover. “Infrasound’ weaponised by Cuba and China. If as is now believed by the Americans, Canadians and etc , the possible high and intense levels of infrasound suspected of being deliberately generated and aimed at the western embassies by the Cubans and Chinese can have these effectsas listed in the referred article, on diplomats ie; human beings then even infrasound from turbines will be affecting a percentage of those living or forced to live by circumstances in the vicinity of turbines. However as we here in rural and regions Australia know full well that we are regarded as second or third class citizens so any form of Precautionary Principle, the precautions taken just in case there may be a real effect, the precautionary principle being something that is beloved of the climate change alarmists, does not apply to the health of those second and third class rural people if there is even a sniff of any plan to limit renewable energy for any reasons whatsoever. It’s like being sea sick, badly. If we took South Australia as a case study, they have achieved their target renewable level and the commercial and damage to South Australia is appalling. It is now the cheapest housing in Australia. A generation of young people are fleeing a basket case economy. The question we can now ask is who has actually benefited from the massive destruction of a once reliable and cheap electricity supply, apart of course from the people who received the money? Are South Australians better off? South Australia employers? South Australian children? Is their environment cleaner for their ‘clean’ and ‘renewable’ energy. Is the world CO2 reduced? Does South Australia have lower CO2 in the air? Is the giant Elon Musk battery an asset which is achieving something new and valuable? Are the giant diesels at Elizabeth producing less CO2 than the coal power stations they replaced? In what way has the massive experiment and suffering from Green science a short or long term benefit to the environment of South Australia or to anyone in South Australia? I cannot answer these questions. Can Jay Weatherill? Can any Green politician? Why is anyone building more wind farms when the lessons of South Australia are in front of everyone. The most egregious result of this unbelievable farce is that the only plastics recycler in South Australia has closed, firing all 35 staff, because electricity is now unaffordable. Plus China is refusing to take our plastic waste. In every measure, the environment of South Australia is far worse off thanks to Green science. Why is this talk of ‘clean’ energy and our ‘Paris’ commitments and the need to control ‘emissions’ still on the table. Are the politicians completely blind and deaf? They’re so eco-friendly they dismantle themselves for recycling. The Met Office said heatwaves can be dangerous for the very young, the elderly or those with chronic diseases. The sweltering sunshine sparked a large moor fire in Saddleworth on Monday evening that could be seen 15 miles away in Manchester. Forecasters said the hot weather is being caused by a jet stream looping to the north of the UK which has created an area of high pressure. Apr 22, 2016 – Firefighters were out in force as a huge fire tore through grassland on Saddleworth Moor. Mar 27, 2017 – Eight crews were called to tackle the fire, which was clearly visible from junction 22 of the motorway, overnight. According to the DT it is probably caused by sparks from unregistered bikes being ridden near a quarry. Cest si bon a vu la destruction la. Or maybe the French I learnt 55 years ago isn’t much good. It seems alright to me KK, although my school French is even older! The government must act faster to cut carbon dioxide (CO2) emissions from road traffic, homes and farming, the Committee on Climate Change says. Without action, the coming generation will have to pay much more to curb emissions in a heating world. The government says it is committed to being a world leader on climate change. Farming: Emissions from farming have barely dropped (-3%). Coal power stations in the UK are being phased out – they are the worst polluters. The government has banned subsidies for onshore wind – even though analysts say that will add to energy bills. In addition, communities have been given the say as to whether they can go ahead or not. This means that just a few objections are needed to block the progress of wind projects. Why are transport emissions going up? What can you do if you are concerned about the climate? People committed to personally tackling climate change can avoid flying and eating meat – two of the biggest sources of greenhouse gases. According to her spokesman, Theresa May believes that expanding Heathrow “sends out an important message about global Britain and making the most of the opportunities which lie ahead of us”. 27 Jun: TWEET: Juliet Eilperin, WaPo: Climate change is a top spiritual priority for two of the world’s most influential Christian leaders, @Pontifex @EcuPatriarch -so why is it a hard sell to many who revere them? Cranky Cracker: Would you look to your religious leaders for guidance on economic policy? Yes. It’s Trumpian to build infrastructure, including new airport terminals. So being hot somewhere else makes it cold in Newfoundland? But Newfoundland is cold because of global warming, and the Arctic is the “ground zero” of global warming (at least, except when it’s the warm Atlantic blob off Iceland, or the Antarctic Peninsula, or Australia, or Ethiopia, or the Mekong Delta). And when the world sets all-time records for cooling after the 2016 El Nino, where is the displaced heat – since it’s “always hot somewhere else”?